Exclusive! Show your holiday spirit! 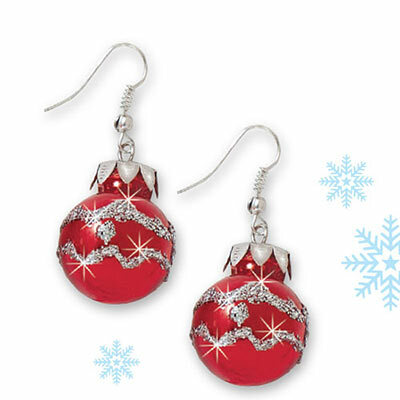 Bright red ball Christmas ornament earrings are accented with silver glitter and a shining silver-tone cap. French wires. 1¾"l.
Very cute earrings. I got them as a Christmas gift for my beautician.